Not got much money to spend? Not a problem. Candles are surprisingly easy to make and all you need is some household items, beeswax and a candlewick. You could even get creative and make it in a teacup or a mason jar! (Oooh so Pinterest). Check out how to make them here! This is the perfect gift for your tea-addict mother. From black tea to oolong tea, the vast array of options will be sure to keep her enticed. Buy yours here. Every chocoholic’s dream come true. This Chocolate Making Party Kit from The Chocolate Hedgehog allows you to follow simple tips and recipes to make and pipe truffles, dip and decorate milk chocolate fudge and create flavoured chocolate bites (drool…). It’s a great way to spend time with your mum and show her how much you appreciate her. Just try to resist gobbling down all the chocolate before Mothers Day! Get ultra cheesy with a jar full of little notes describing all the things you love about your mum. From her ability to find anything that is lost, to her delicious Sunday roasts. It may take a little extra effort, but a compliment jar will show her how much she truly means to you and even give her a pick-me-up on her down days. If you want to create a pamper day but don’t want to break the bank, DIY bath bombs are the perfect solution. Making them yourself also gives you the opportunity to personalise the bath bombs to create whatever scent and colours your mum loves most. Just a few ingredients needed and you’ll be giving Lush a run for their money! Find out how to make them here. A simple way to create absolute luxury. 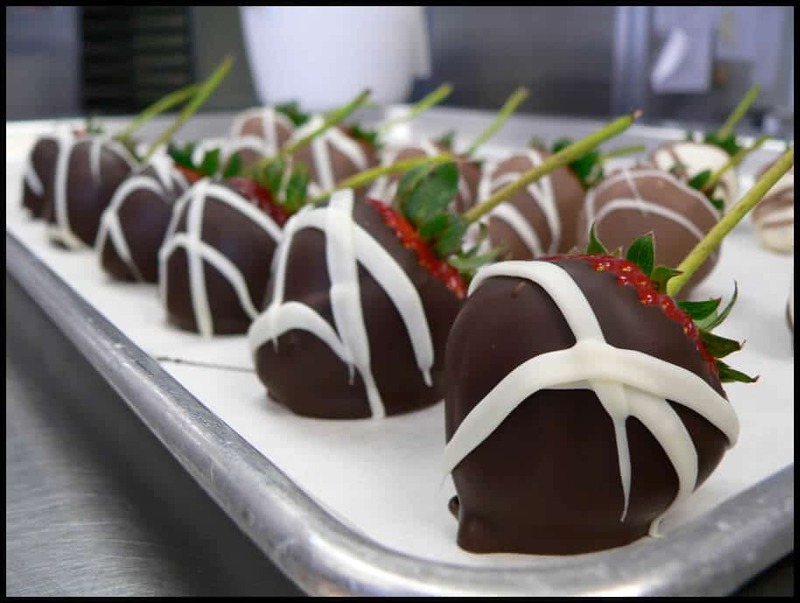 Just get your favourite organic milk melting chocolate and some succulent strawberries and you’re good to go! Why not check out The Chocolate Hedgehog for some unique ingredient inspiration. Having a personalised family cookbook not only brings together all the details of her favourite recipes, but it also means you can steal a couple tips for yourself too! Check out My Family Cookbook here. Instead of a card this year, why not make a scrapbook filled with photos and trinkets? Search through those boxes of old photos (and albums on Facebook!) to build a collection of some of the special moments you’ve shared together. Take a look at Etsy for some photo album inspiration! If writing a personal note is more your kind of thing, try making a pressed flower card to share your feelings in this year. It’s easy to do, cheap and beautiful. It’s also a great one to get kids involved in! Find out how to make your own pressed flower card here. Spring doesn’t only mean fruity flavours. Try chocolate making at home by having a go at this brownie recipe. Made with delicious organic milk melting chocolate and white chocolate flakes it’s nearly (but not quite!) as good as our Chocolate Making Party Kit. Let’s be honest, these easy to make brownies look like heaven! As we hope (!) you’re aware, Valentine’s Day is just around the corner. If you’re anything like us, we are already wondering what to do doing on the day itself. Unsurprisingly chocolate features at the forefront of most of our plans. In fact, if we are being really honest, most of us are helping out with our Valentine’s chocolate making class as Valentine’s is one of the business times of the year for us! Having helped out at many, many Valentine’s chocolate making workshops over the years, we can honestly say that making personalised chocolates for your other half is always going to be a perfect Valentine’s gift. If you’re looking for a little inspiration, we do offer chocolate making party kits, which contain all the ingredients and equipment you need to make your own truffles, fudge and flavoured chocolate bites. We are also big fans of our sumptuous orange & pistachio truffle recipe and what says I love you more than a homemade selection of indulgent, melt-in-your mouth truffles? The recipe is quick and easy to make. All you need are a few simple ingredients and half an hour spare. Simmer the honey in a frying pan for a few minutes, or until it turns a medium brown colour and gives off a sweet caramel scent. Remove the pan from the heat. Melt the chocolate au ban marie, making sure to stir frequently. In a separate thick-bottomed pan, gently heat the cream. When the chocolate has melted into a smooth and glossy mixture, remove ¼ of the chocolate and keep in a separate bowl. Pour the warm cream and caramelised honey into the larger quantity of chocolate and whisk the mixture until it has blended together. Mix in 1 cup of the pistachios and half of the orange zest. Set the mixture aside to cool for 5 minutes or so. Meanwhile, combine the rest of the pistachios and orange zest in a large bowl. Once the chocolate mixture has set, use your hands to roll it into bite sized pieces, roughly 2 inches in diameter. Place the pieces on a chopping board and flatten with a rolling pin. Use the cookie-cutter to cut the pieces into lovable heart shapes. Once you have your chocolate love hearts, carefully dip them into the smaller bowl of melted chocolate and then coat them with the pistachio/orange zest mixture. Place the finished truffles on a serving tray lined with parchment paper and devour at will! What’s great about this recipe is you can easily vary the ingredients if you want to make them again. For example, you can replace the pistachios with hazelnuts or almonds for a subtle twist or if you’d prefer to spice things up, add five cardamom pods and a sprinkling of ground cinnamon or nutmeg. If you enjoyed these truffles, and you’d like to read more from MyChocolate, please browse the rest of our blog. Host your own Chocolate Making Party! We’ve launched a partner company, The Chocolate Hedgehog, which offers chocolate making party kits! The kits contain everything you need for two hours of chocolate making fun, including organic chocolate and specialised chocolate making equipment. We have even included easy to follow recipes so you can host your own chocolate making party from your home. The Chocolate Hedgehog offers two types of chocolate making party kits; a Gift Kit for up to 4 people and a Group Kit, for up 12 people and ideal for hen parties and group get-togethers. You can see a Chocolate Hedgehog kit in action in the below video. You’ll see the sheer quantity of chocolate contained in each kit – there’s a lot! We hoped you enjoyed our first installment of Around the World in Chocolatey Ways. We are now thrilled to be continuing our journey with you on the second leg of our adventure, so let’s get going! Last month we took you through Mexico, Spain and England, this time let us transport you to the exquisite locations of Peru, France and Italy. Home of the Inca tribe, the indigenous people of Peru have been using the Cocoa plant for centuries, long before the days of chocolate parties and workshops. These people chewed the Cocoa plant for essential strength to go about their daily treks and work in the mountains. Nowadays, the country is famous for its use of the plant to make yummy chocolate treats. Chocolate made from real Peruvian cocoa is some of the most intense in the world, much like the rest of the country it is bold, impressive and totally unforgettable! Perhaps more similar to the delicious chocolate you might learn to make at one of our chocolate making courses is that originating from France. 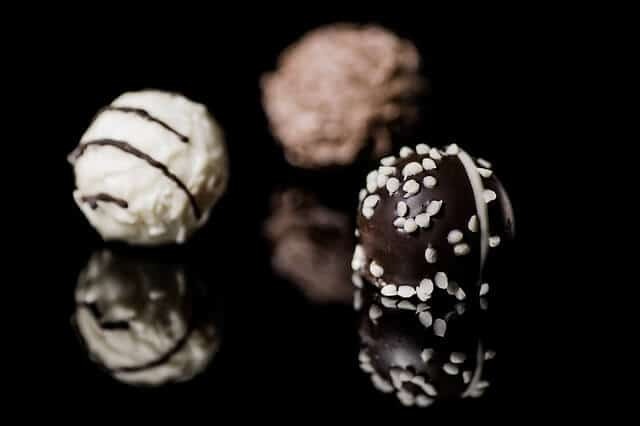 Despite the fact you might perhaps hear more about chocolate from France’s neighbours, Switzerland and Belgium (to which we will pay a visit at a later date), the French chocolatier’s expertise is a very well-kept secret that needs sharing! Chocolate first arrived in France from Spain in 1615, when Anne of Austria, introduced the chocolate drink to her new husband, Louis XIII of France. 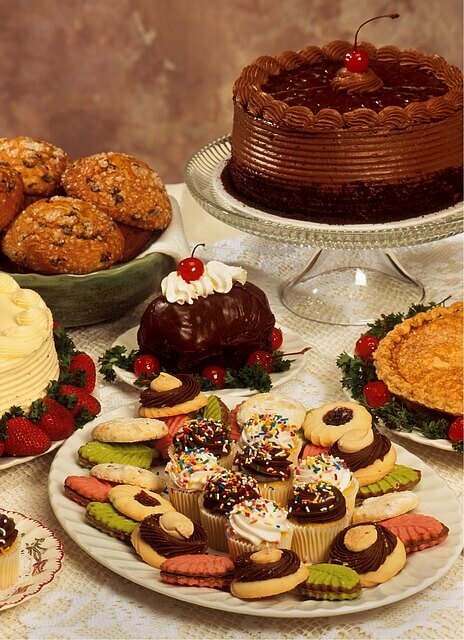 The sweet treat was first popular among the court (who we’re sure loved chocolate parties), before it quickly took the rest of the country by storm and earned the love it enjoys today. The country favours very fine, very dark chocolate, perfect dipped in a delicious café au lait. The country even have their own chocolate academy – we wonder what they’d make of our own chocolate classes. You could in fact argue that it is thanks to the Italians that we can enjoy chocolate at all, for it was the Italian explorer, Christopher Columbus, who first set eyes on a cocoa plant and introduced it to the continent. Now, all sorts of chocolatey treats can be found there, including many varieties of gelato al cioccolato (or chocolate ice cream to us and you.) The homes of Italian chocolate are said to be Turin and Piedmont, where, like with many other foods in Italy, chocolate is an art form. Ok that’s all for week’s trip around the globe, thanks for joining us and see you next time! Perhaps your earliest chocolate memory is not one of actually eating chocolate, but of having it described to you by Roald Dahl? His world of ‘Chocolate waterfalls’, ‘lickable wallpaper’ and ‘cows that give chocolate milk’ creates an irresistible allure around the silky brown substance that sets children’s mouths salivating. In fact- we’re introduced to Wonka’s chocolate kingdom at such a formative age, the book cements any juvenille choccy- intrigue into a life-long obsession. If you weren’t introduced to chocolate via Roald Dahl, then perhaps jolly old Father Christmas made the introduction? Solid chocolate coins at the bottom of Christmas stockings, bumper tins of Quality Streets and Roses, and boxes of thick chocolate biscuits laid out for the scoffing. Perhaps you remember standing beneath a towering tree and giving it a little shake to dislodge one of the chocolate fondant treats? No doubt you remember plunging your little arm deep into a tin of Roses, and finding all the purple ‘hazelnut-caramels’ gobbled already by a greddy parent? The shiny, coloured wrappers gleaming, with the empties rolled into balls and a surplus of pale green, praline triangles at the bottom. There’s a distinct ‘chocolate progression’ which takes place throughout life. Playgroup is usually a time of chocolate buttons, popped into mouths and sucked until they disappeared. The kiddie sized bags just about the right size to make sure nobody was sick. A humble ‘Cadbury’s fudge’ at the bottom of a party bag never goes amiss, or even a ‘Curly Whirly’. Next is junior school- the Twix and KitKat lunchbox years. And do you remember the pleasingly chunky Caramel Rocky? There’s a funny time of life, between the ages of 5 and 9 when children delight in biting the chocolate off the sides of the biscuit, methodically, if not ritualistically, and leaving the best bit til last. In high school, one graduates into the world of Toffee Crisps and Lion Bars; (a preference for each makes and divided friends) gnawing through the chewy, crackly layers made exams that bit more bearable. (If only we’d had chocolate classes back then!) And of course, Yorkies were a favourite among many, for who could resist such a jaw-stoppingly chunky bar? Indeed chocolate follows us like a sweet and melty guardian. It’s the friend who doesn’t ask any questions, bringing comfort at times of need from earliest youth til death do us part. Now if this trip down memory lane hasn’t got you in the mood for one of our chocolate classes then we suggest you go back and read some more Charlie and the Chocolate Factory! As cacao beans grow in tropical and usually extremely remote and poor parts of the world, the working conditions of the workers doing the hard work – the harvesting – are often fragile to say the least. Wages can be compressed and slavery and child labour have been known to exist in some parts of Western Africa, where the majority of the world’s chocolate bars originate from. It’s a very serious and distressing part of an industry most people gain huge amounts of pleasure from numerous times on a daily basis. Luckily, over the course of the last two decades, intrepid human rights activists have opened the worlds eyes to many of these issues and consumers have responded accordingly. Nowadays, chocolate in shops is no longer referred to as being merely ‘chocolate’; rather it is prefixed with words like ‘fairtrade’, ‘organic’ and ‘ethical’. This has been done by companies in direct response to the growing body of consumers who are not willing to simply sit back and consciously eat and enjoy cheap chocolate whilst knowing all too well about common industry injustices. The MyChocolate team are thrilled that this is the case as we strongly believe that the big players in the industry have a corporate duty to make sure people benefit on every level from the globes insatiable appetite for all things chocolate. The money pot is plenty big enough for them to be able to do this. Fairtrade: If chocolate is marked as being fair trade, then you can eat it in the knowledge that those involved at its origin are making a fair amount of money from their commodity. Fairtrade see that farmers receive at least a certain amount of money and this is usually driven back in to the local communities. It’s quite brilliant to think that when you’re next in the supermarket in somewhere like London, Brighton or Manchester that you can help people out in a profound way by simply spending pennies extra on your chocolate bar. Lazy philanthropy at it’s very finest! Organic: If chocolate is labelled in this way then you know that it has been grown in an area which has been free of often toxic pesticides for a prolonged period of time. This can improve the health of the workers who harvest and monitor the cacao beans, as well as the immediate local ecology. There is usually a premium charged for these products but it’s minimal and absolutely worth it in our humble opinion. It’s also worth keeping an eye out on individual brand websites because they will more often than not indicate that part of their money is spent on various admirable projects in the country where the chocolate originates from. This strengthens their relationships with their suppliers and it also helps them with branding, so do take a look. If you fancy having some chocolate fun then please do get in contact with MyChocolate and we’ll get back to you asap. Hopefully you can come along to one of our chocolate party’s or corporate events and enjoy the sweet taste of some organic chocolate! Did you miss our Chocolate Buttercream recipe from last week? If so, not to worry, you can catch up right here. The first thing you want to do is set up a bain marie, which although sounds complicated, is actually a simple case of placing a bowl over a pan of simmering water. With the pan heated at 30°C, place the dark chocolate inside and wait for it to melt. Once it has, set the pan to one side, letting it cool until you begin to see little crystals form on the surface of the chocolate. When you can begin to see crystals, return the pan to the bain marie. We know this heating, cooling and reheating may seem a bit baffling at first, but this ensures the chocolate is tempered, which ultimately gives the finished product its shiny finish and satisfying snap. Okay so with the chocolate reheated to 30°C, pour in a couple of drops of the orange essential oil and the chilli flakes, stirring them thoroughly into the mixture as you do so. Mexico…chocolate’s Garden of Eden. Central America can claim to be the birthplace of chocolate, where the sticky, tropical rainforests provide the ideal conditions for the Cacao Tree (Theobroma Cacao) to grow. Ever since the dawn of the Mayan civilisation 4,000 years ago, the tree and the cocoa beans have been coveted as a gift from the gods. The beans, traditionally mixed with spices, were fermented to make a bittersweet drink used in religious ceremonies. The later-ruling Aztecs even used the beans as a currency, also believing them to be sacred – a gift from Quetzalcoatl, the God of Wisdom. Today, Mexicans still prefer to start their day with a drink of chocolate, flavoured with traditional spices – cinnamon, cardamom and chilies. Although no longer used as a money, it is commonly sold in the markets in the shape of discs, a contemporary trademark for chocolate in this part of the world. Our next country on the map is Spain, whose conquistadors brought cocoa beans back to Europe in the early 16th century. They were unable to pronounce the name of the Aztec cocoa drink, Xocolatl, so changed it to ‘Chocolat’, from which its modern name derives. Chocolat was found to be too bitter for European palettes however, so Spain became the first country to sweeten the beans with sugar cane. The country can also claim to be the first to open a chocolate factory and they remain a proud chocolate-producing nation today (it’s famous modern brands are Valor, Trufas and Torras). Chocolate arrived in England in 1520, delivered by none other than Christopher Columbus, and mass production of the food became big business for the Quakers at the time. In fact, some of the greatest chocolate companies there have ever been have derived from the Quakers, including Fry’s, Cadbury’s, and Rowntree (who later merged with Nestle). Fry’s is famous for producing the world’s first ever chocolate bar, in their factory in Bristol in 1847. Today the UK is still a prolific producer of chocolate, the fourth argest in the world no less, and was also the first country to produce organic chocolates. That’s it for part 1 in our ‘Around the World in Chocolatey Ways’ series. We’ve still got a lot of miles to travel, so make sure to tune in next time for a look at chocolate in Peru, France and Italy.